Neil has worked with distressed companies for nearly 30 years, including 15 years in board or executive positions as CRO or CFO. 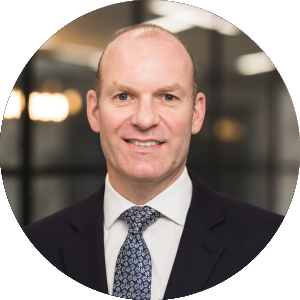 Neil’s experience includes operational and financial restructuring, as well as hands‑on crisis management, independent business reviews, M&A and due diligence. Neil is a Chartered Accountant and a member of the Institute for Turnaround. He previously worked for EY and Andersen. Non Executive Director and adviser to BMI Healthcare, one of the largest private hospital operators in the UK, during the negotiation and implementation of its financial restructuring. Joint CRO and Geschäftsführer of Scholz Holding GmbH, the global metal recycling business, appointed to negotiate and implement the financial restructuring of its €1 billion of debt. Group CFO and Luxembourg Board Director of European Directories during its post‑restructuring transition and operational restructuring under new ownership. CRO of Apcoa Parking, the pan-European car park operator, appointed to negotiate and implement the financial restructuring of its €800 million of debt. Non Executive Director of Azincourt Investment SL, the Spanish holding company of FCC’s UK business (formerly Waste Recycling Group) during the implementation of its financial restructuring. Board Member and Interim CFO of Game during post-administration stabilisation, transition and operational restructuring under new Private Equity ownership. Restructuring adviser and Board Member of Quinn Group Limited, a private conglomerate of manufacturing and insurance businesses, headquartered in Ireland, during its €1.2 billion financial restructuring and corporate reorganisation to ring­fence the key manufacturing businesses. Subsequently appointed Non Executive Director during post‑restructuring transition. Adviser to the boards of AI Airports International and PI Power International, two Jersey based investment funds listed on the Vienna Stock Exchange, on their work‑out, business disposals and wind‑down. Interim CFO of IWP International plc, a manufacturer, distributor and retailer of cosmetics and personal care products across Europe, during operational restructuring, business disposals and turnaround. Adviser to the board on business and strategic planning options for listed biofuels manufacturer.